1. You can book a trek and request a local guide. 2. You can book a trek and have us select your guide. 3. You can join another trek that is already booked by other travelers. Sherpana's guide share pricing allows members to share the cost of the guide; lowering the price to members as more people join the trek. Micah has a passion for adventure and problem solving. 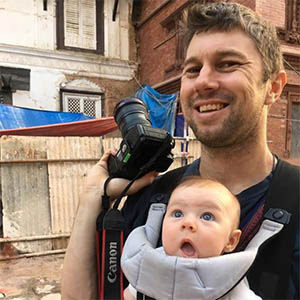 After finishing a PhD in Engineering from the University of California at Santa Barbara, he hopped on a plane and spent the next 7 years living out of a backpack, traveling and trekking in Asia. Frustrated by the lack of information on independent trekking, he began to fill this gap by posting logistical information on treks to his travel blog. He eventually spun the trekking guide portion off to its own site, indietrekking.com. Over the years, the most common request he would get was for local guide recommendations. In 2016, he decided to develop a better way for guides and trekkers to get together. Sherpana was born. Micah met Kili in 2008 while trekking in the Everest region of Nepal and became good friends over the subsequent years during Micah’s frequent trips to Nepal. 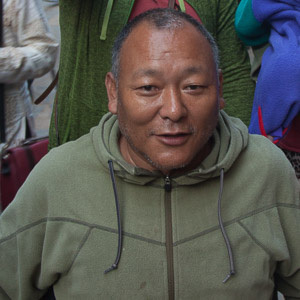 Kili grew up in the small village of Chaurikharka near Lukla (the airport nearest to Mt. Everest). As a teenager, Kili began working as a porter and when not carrying loads, he would find lodging for foreign trekkers in his village. He worked his way up to a climbing guide, summiting Mt. Everest himself in 2001. In 1998 founded his own company, High Altitude Dreams which provides expedition, trekking, and basecamp services to international outfitters. The company is a registered member of Trekking Agencies' Association of Nepal (TAAN) and complies with all trekking and mountaineering regulations in Nepal. Kili has also been active in supporting education and a climbing course for aspiring Nepali climbers and guides.